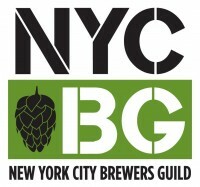 To celebrate the announcement of the New York City Brewers Guild–what, you didn’t know about the new coalition of city breweries?–the Guild is holding a party and tasting on May 22nd at Brooklyn Brewery. The night will feature not just the revival of a true brewing industry here in New York City, but the little-sampled brews from each of the nine founding brewers: Bronx Brewery, Brooklyn Brewery, Chelsea Brewing Co., Eataly Birreria, Harlem Brewing Co., Heartland Brewing Co., Kelso Beer Co., Shmaltz Brewing Co., Sixpoint Brewery and 508 GastroBrewery. In addition to advancing our brewing culture as a whole–nothing to sneeze at–the new NYCBG will also be taking over New York Craft Beer Week. They’ll announce the new date for the week at the event, where you can snap up discounted individual memberships to the Guild. Buy your tickets right here.